A hunter-hunter, a member of a number of expeditions to the Arctic, a researcher of Taimyr. Born in the city of Tsarevo, located on the shore of one of the channels of the Volga-Akhtuba floodplain, in a friendly, cohesive, large family. He grew strong, strong, with the obvious makings of a leader. He often had to work with his brothers on Putin in the Volga delta, in the Caspian. It was here that his love for the sea originated. When it was time for military service, Begichev asked for a fleet. In 1895 he began his service in Kronstadt in the 5th naval crew. After graduating from the quartermaster school in 1897, after eight months of foreign navigation, Begichev received this first non-commissioned officer rank. Three years of service on the Herzog Edinburgh training cruise frigate gave him excellent hardening and professional maritime skills and allowed him to see the world. In 1899, when the “Duke of Edinburgh” was preparing for a new voyage, an unknown lieutenant appeared on the ship, who, as it turned out, was recruiting volunteers to the crew of the Zarya ship, during which the Russian polar expedition led by E.V. Toll went to the Arctic Ocean in search of Sannikov Land. This lieutenant was F.A. Mathisen. The command of the frigate Begichev was recommended to Mathisen as the most suitable candidate for such an enterprise. When mutual consent was obtained, Begichev without much delay was seconded to RPE for the position of boatswain of the vessel. So there was a fundamental change in the life of Begichev, who determined his entire fate. After the "Duke of Edinburgh" "Dawn" he did not like. She seemed to the gallant boatswain to be small and dirty. He vigorously set about restoring order and quickly earned the respect of the entire expedition. The main concern of Begichev was the performance of boatswain duties on the ship. In wintering the circle of his affairs increased sharply, as the sailors were involved in the performance of scientific observations and participation in the sledge routes. Begichev expressed a desire to go with Tolle to Bennett Island, but was refused, motivated by the need for his presence on the ship. With Tolle went F.G. Zeberg. Who knows, perhaps participating in this campaign of a man like Begichev would have avoided a tragic outcome. Due to the severe ice conditions, Zarya could not make its way to Bennett Island and remove the Toll group. The ship returned to Tiksi, and Begichev together with all the remaining members of the expedition aboard the ship "Lena" traveled from Tiksi to Yakutsk, and from there on to the railways and further to Petersburg. The next year, 1903, Begichev took part in the search for the missing Toll group. Together with the head of the search party A.V. Kolchak he played a leading role here. At first it was supposed to send “Zarya” to search, left to spend the winter in Tiksi Bay, but the captain of the vessel Mathisen, without refusing to execute the order, convincingly proved that the schooner is not ready for polar voyages. It would all end, he believed, that it would be necessary to organize a new expedition to rescue rescuers.As a result, Kolchak’s plan was adopted, suggested to him by Begichev as far back as Tiksi. Its essence was that a small group of rescuers would cross the dogs from Ust-Yansk to the New Siberian Islands and from there on the boats get to Bennett Island. Anyone who imagines these places can only marvel at the courage of these people.Somewhat later, the NA adjusted the plan. Two detachments were organized: the naval unit headed by Kolchak and the land unit headed by M.I. Brusnev, but also submitting to Kolchak. Begichev was included in the naval squad. A large Pomor boat was supposed to be bought in Mezen, but Begichev expressed a happy thought: in order not to drag the boat thousands of miles away on horseback, use the Dawn whale boat. This decision greatly accelerated the dispatch of the expedition. Arriving in Tiksi in April, we loaded the whaleboat onto two strong Norwegian sledges, pulled by two dozen dogs, and set off for Ust-Jansk. Stocking up on food, immediately moved through the straits to Kotelny Island. Replenishing food supplies by hunting, enduring the hardest physical deprivations, by the end of May they reached the southern tip of the island, where they stood on a spring ground waiting for the opening of the sea. It lasted for two months, during which they repaired and strengthened the whaleboat, and most importantly, hunting and fishing, which went with varying success, sought to create at least some food supplies for themselves and dogs. Finally, at the very end of July, dragging the whaleboat through a strip of fast ice, lowered it into the water, set sail and moved along the shores of the boiler house and Bunge Land. After a three-day voyage, they rowed up to the coast of the Faddeevsky Island and stood to rest. Poor nutrition wore people off. The meat ran out, ate breadcrumbs, oatmeal and canned broths. Under these conditions, Begichev became the informal commander of the detachment. It was clear that it was impossible to move on without food supplies, and Begichev decided to remain at Faddeevsky until he could get deer. The next day, two large bulls were shot and, after a short rest, they went further along the banks of Faddeevsky. Throughout the journey, the sailors peered at the shores, hoping to notice any signs of the Toll group, but it was all to no avail. From the eastern tip of Faddeevsky they crossed the Blagoveshchensk Strait and reached the northern tip of New Siberia - Cape High. 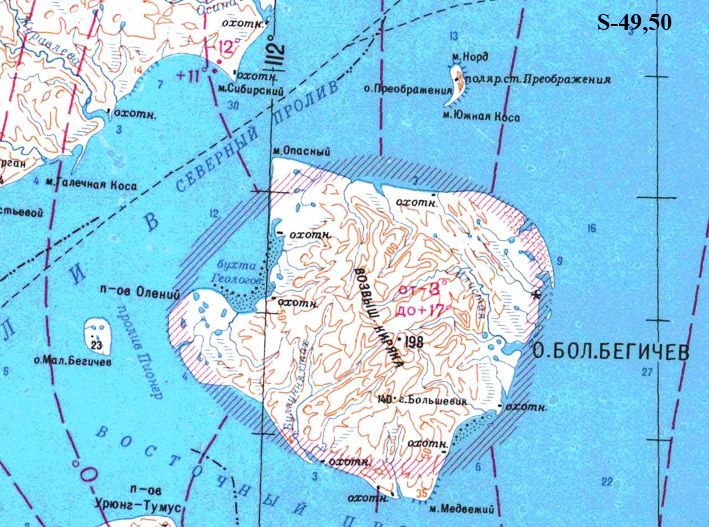 In New Siberia, they met with Brusnev’s land detachment, who had discovered Toll’s site at Cape Vysokoye in the spring. From Toll's note, it was clear that on July 13, 1902, his group went to Bennett Island. In mid-August, they began to hike Bennett. With full calm, they rowed continuously for 12 hours, and when the south wind blew, they were able to land on a large ice float and swim, as they put it, “at public expense”. They spent the night here, but the next day, when the ice floe was attributed to the west, they were forced to lower the whaleboat and continue on their own. After 16 hours, a dark line was noticed in the fog, and when the fog cleared, a panorama of the island with glaciers sparkling in the rays of the sun opened. After another 6 hours we reached the coast. After the rest, we went to the southwestern tip of the island, the cape of Emma, where Toll had to leave a letter by agreement. We found letters from Toll and Zeberg, from which it turned out that the group was going to make a parking on the eastern end of the island. Having arrived there, the rescuers found a parking lot and Toll's letter addressed to the President of the Academy of Sciences. The main words for the rescuers were the last words of the letter that their comrades left the island on November 8 and went south to New Siberia. They had food reserves for 14 days. Thus, it became clear that the group Toll died. The way back was difficult, but, according to the ideas of these brave people, without any special adventures. By the end of December, all search groups gathered in the village of Kazachye. Without loss, but without Toll and his companions. "For three years of work and hardships", transferred during his participation in RPE and search and rescue expedition, Begichev was awarded a gold medal with the inscription "For diligence" for wearing on the Stanislav ribbon. In early January in Yakutsk, Begichev found out about the beginning of the war with Japan and decided to go to the Pacific Ocean. Kolchak went there, whom Begichev admired and was ready to follow wherever he went. During searches on about. Bennett Begichev saved Kolchak who fell through the ice from certain death, for which Kolchak was infinitely grateful to him. Before leaving for war, Kolchak married, and Begichev was at the wedding surety from the groom. In fairness, it should be noted that in the Soviet years, Begichev, perhaps fearing reprisals by the authorities, allowed himself unpleasant remarks about Kolchak and his role in the search and rescue expedition, attributing the main credit to himself. Arriving in Port Arthur, Begichev received an appointment for the Silent Destroyer, where he served until the end of the war, which ended with a breakthrough for him in the Korean port of Qingdao. Begichev repeatedly participated in the hostilities, was awarded the St. George's Cross 4 degrees. After returning home to Tsarev, Begichev, after a short rest, was bored with active life and decided to continue his military service in the Far East. On the way to Vladivostok, he visited his expedition friend Toll S.M. Tolstov, who told him about his work on a geological expedition in the Khatanga region. He strongly advised Begichev to try his luck in these places. The meeting with Tolstov was decisive for Begichev’s later life. He decided to make a “small” detour and see what he, this praised Turukhansk region, is like. Friends reached Dudinka, where, for the money borrowed from Tolstov, Begichev bought beams, four reindeers, restored 200 abandoned mouths (a fixture made from logs for fishing foxes) and engaged in fishing. Begichev's natural abilities for this occupation, the experience of a hunter obtained in the RPE and the rescue squad, quickly made him a respected person among the inhabitants of the region. Free life, independent of anybody, was first captured by Begichev, but participation in RPE, communication with scientists and officers of Dawn, and especially with Tolle himself, did not pass without a trace. Life without any idea, goal could not arrange it for a long time. Aboriginal stories about the inner regions of Taimyr, the mountains of Byrranga, the coast of the Arctic Ocean increasingly inclined Begichev to the idea of ​​reaching these places. The last straw was the story of the old local hunter on the island against the mouth of the Khatanga Bay, where no man’s foot went. The locals did not go there, fearing "wild devils." Begichev knew that in those areas in the first half of the 18th century, the units of the Great Northern Expedition of V.V. Pronchishchev and Kh.P. Laptev. Why didn't they notice the island? In January 1908, Begichev with two comrades left Dudinka for Khatanga, and from there to the mouth of the Anabar. In April, they arrived at the western entrance cape of the Anabarsky Bay, and on a sunny day, Begichev saw this mysterious island through binoculars. Having gained experience in RPE, he stocked up with a compass and a pedometer needed for shooting. In mid-May, the travelers set off for the island and reached it on reindeer sleighs in 18 hours. By the end of June, they went around it and put it on the map. Along the way, Begichev was collecting geological samples and plants, which he familiarized with the methodology of RPE. In the southeastern outskirts of the island, they discovered the ancient Russian cabin, to some disappointment, realizing that people had been here before. 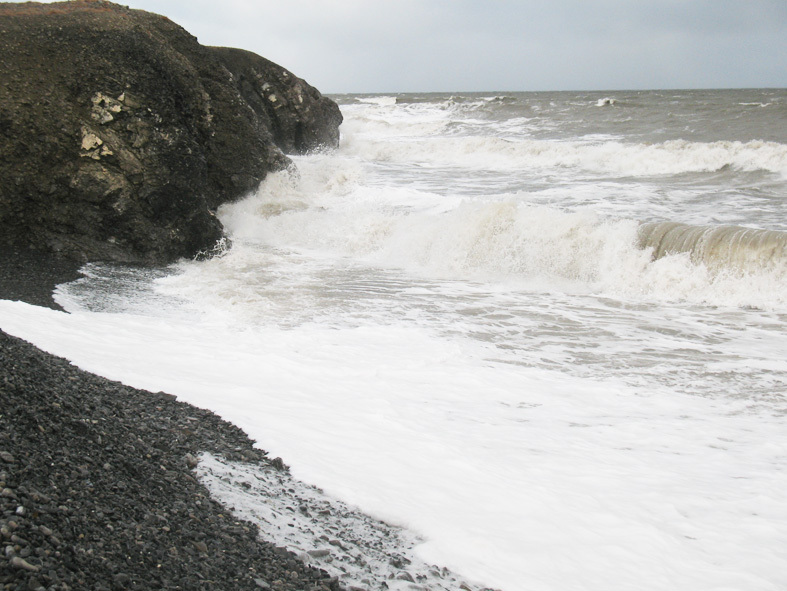 During the survey of the island, Begichev found strata of good coal that came out to the surface, and also made a discovery, which subsequently aroused great interest among geologists: he came across outlets of oil-bearing rocks. From the western tip of the island, Begichev saw the island of St. Nicholas, and from the north - the Island of Transfiguration, which he traced and visited. In May, Begichev arrived in St. Petersburg and presented his map to A.I. 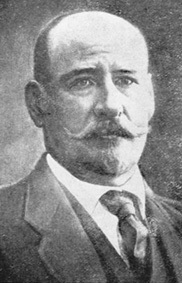 Vilkitsky. The discoveries of Begichev were very interested in the GSU, the Geological Committee and the Academy of Sciences. For further research, Begichev was given a letter from the Academy of Sciences about assistance, and the GSU provided him with a modern-style rifle and some tools. In the years 1910-1912, Begichev continued to engage in fishing in the Anabar, during the summer months he visited his island, but did not stay there for the winter. 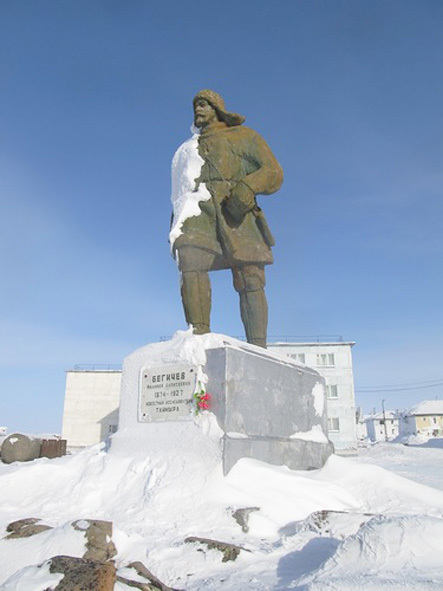 He spent the summer of 1912 at home, in Tsarevo, thinking about stopping his polar voyages. In search of business he liked to go to Astrakhan, Nizhny Novgorod, Moscow, St. Petersburg, but did not find anything to suit him. He did not like life in Russia, especially in large cities. Ambition also hindered: in the north of Turukhansk he was an influential figure, on the mainland everything would have to start from scratch. In late September 1912, Begichev returned to the North, finally deciding to stay there forever.In Krasnoyarsk, he got married, and after the wedding, the newlyweds went to the Avamsky tundra, where Begichev engaged in arctic fox. In February 1915 a telegram came to his name from General M.E. Zhdanko with the request to organize a sledge expedition on the coast of Taimyr for the export to Dudinka or Golchikha of the seafarers' party of the Arctic Sea, whose ships Taimyr and Vaigach wintered in the ice of the Kara Sea northeast of the Nordensheld archipelago.Begichev brilliantly carried out this task, having collected with the help of the local population a sleigh train of 1,000 deer and making an unparalleled, hundreds-kilometer journey through the tundra to the designated place. From there he took the sailors to the mouth of the river Tarei. After the completion of this expedition, Begichev lived for a while with his family in Yeniseisk. However, the money and supplies came to an end, the business was not there, although there were many plans. Money was needed for everything, but it was not possible to get a loan in this troubled time. In 1917, the Begichev family was forced to move to Dudinka. This period for the northerners turned out to be extremely difficult: navigation was almost disrupted, the supply stopped. The situation began to improve only by the years 1919-1920. Representatives of the new government appeared, construction of port facilities began to receive vessels of the Kara expeditions of commodities, geologists went to the tundra to explore coal deposits. Begichev understood that in this situation there would have been an excellent application of his experience and knowledge of the North, but his pride would not allow him to offer his services. He waited for his call, and waited. In March 1920, Norway appealed to the Soviet government with a request to assist in the search for members of the expedition of R. Amundsen on the ship Maud P. Tessem and P. Knutsen sent in 1919 with mail from the place where the ship hibernated east of Cape Chelyuskin to Dickson Island and there are no arrivals. The search for Norwegians from the sea did not succeed, and it was decided to do them by land. The best candidate for organizing them naturally was Begichev. The management of the Northern Sea Route Committee appealed to him, and Begichev gave his consent. 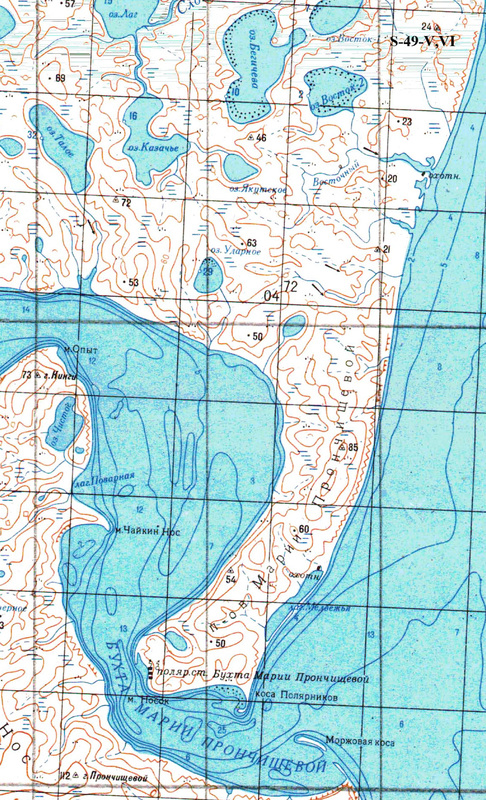 According to the search plan, he had to come to Dickson, take two Norwegian participants from there and move along the coast to Cape Wild, where Tessem and Knutsen were supposed to leave a message. The expedition, divided by Begichev into three groups with a total of 500 deer, left the Dudinka area on April 1. 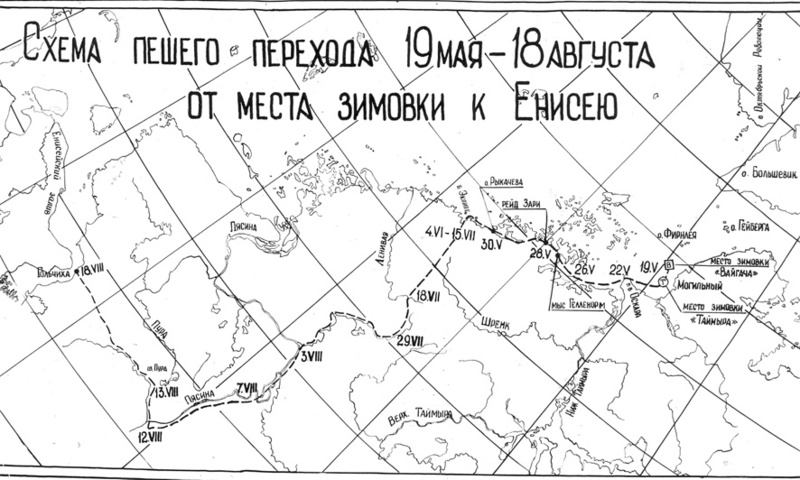 Having undergone enormous difficulties, on June 4, Begichev’s group reached Dixon and after four days set off along the route. On July 27, they reached Cape Wild and found the message of the Norwegians, dated November 1919. It followed that the sailors were in good condition and were heading for Dickson. Now the rescuers, who had already done an incredibly difficult journey, had to search for the Norwegians, moving along the coast and avoiding countless bays, coves and lagoons from Cape Wild to Dixon. It is hard to imagine that a person is capable of this, but none of them had the thought to stop searching. On the way, they found traces of fires, abandoned sledges. Not reaching the Pyasinsky Bay, at Cape Pertnym, Begichev found traces of a fire and burned bones, buttons, buckles, rifle and rifle cartridges and other small items in it. Rescuers came to the conclusion that this place of death of one of the Norwegians, whom the second, having no strength to bury, burned at the stake. Photographing the finds and taking part of the objects with them, they buried the bones and erected a cross over them indicating the date. Without losing time, they moved on in search of the second Norwegian.Autumn was coming, the forces were leaving both people and deer, running out of supplies. In late August, with enormous difficulties, they crossed the mouth of the Pyasina.In September, strong, prolonged blizzards began, and it became clear that it would be futile to continue the search under these conditions. The detachment turned south and reached Dudinka in a month in mid-October. The next year, 1922, Begichev took part in the expedition of N.N. 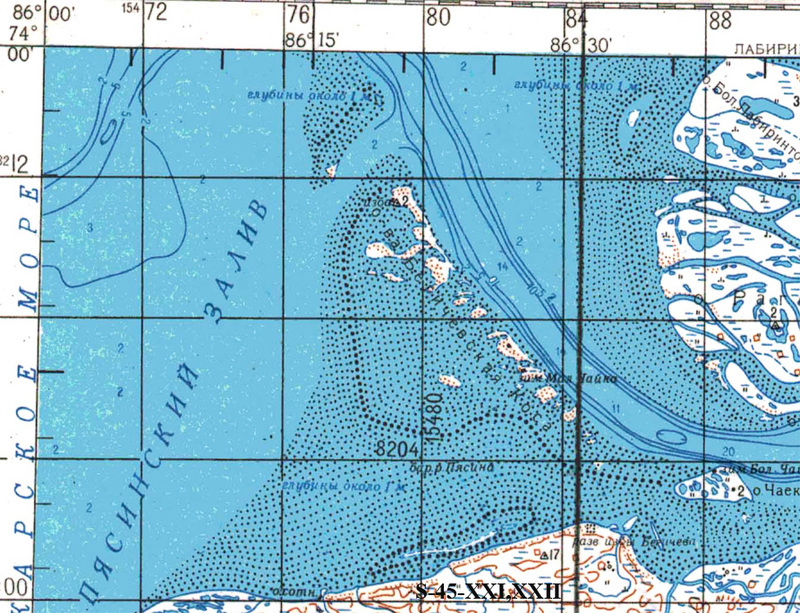 Urvantsev, engaged in the exploration of coal deposits for the needs of the Northern Sea Route. The detachment descended through Pyasina to the mouth and set off by boat along the coast to the west. Not reaching 90 km to Dixon, on August 9, they discovered the parking of Norwegians with a mass of abandoned objects and the main post of Amundsen. After making an inventory of the items and collecting all the papers, the detachment sailed to Dickson. Taking up a deer hunt waiting for the steamer, on August 28, Begichev crossed with two comrades to the mainland and discovered a human skeleton at the foot of a small toe. According to the things found near the skeleton, it was decided that this is the skeleton of P. Tessem. The skeleton was buried right there, and later a monument was erected on the grave. For their participation in the search for the missing Norwegians, Begichev and Urvantsev were awarded a gold watch by the Norwegian government. Begichev found Tessem. His skeleton lay at the bottom of a deep cleft, covered with half-decayed clothing. By the mid-1920s, life in the north of Krasnoyarsk began to improve after the devastation and collapse caused by the revolution and civil war. Local authorities were gaining strength, the centralized supply of the population was resumed, major survey and construction works were carried out. A great positive role in this was played by sea Kara expeditions. Opened a wide field of activity for active and enterprising people. Ambitious, always striving to be the first Begichev presented a large-scale plan for the commercial development of the Kara coast from Dixon to the arch. Nordenskiöld, offering to organize a centralized network of fishing wintering. Acting always alone, this time he decided that the implementation of such a plan was possible due to the well-organized artels of strong and skilled industrialists. His plan was approved by the authorities of Dudinka and the co-operators, but it was decided to start with one artel on Pyasin, which they proposed to head Begichev himself. He selected five, as it seemed to him, the most reliable people, later they were joined by another local resident, who became a burden for the artel. It did not go from the beginning. It was possible to get out of Dudinka only in the middle of June, in the midst of the thaw. Moving very slowly, with frequent stops and delays, industrialists reached the wintering site at the mouth of the Pyasina only in early August. There was a lot of work to be done: to build a house, to harvest food and fuel for 9–10 months, to get ready for the winter fox fishery. It was possible to carry out all this volume of affairs only under the condition of well-coordinated, unceasing, hard work of the whole team. As soon as Begichev went hunting and setting up traps for arctic foxes, the construction of the house had stalled. The locals, who were wandering nearby, went to visit them. With the arrival of the guests, the work stopped: they were fed, watered with tea, and there were hours of conversation. It took time, thawed food stocks. With the arrival of Begichev, things went better, but he failed to do the main thing: to create a friendly team of like-minded people. People had to cheer, persuade, force. And the forces of Begichev himself were not the same. He was in his sixth decade, let know the years spent in the most difficult polar expeditions. As a result, the winter came with an unfinished house and stove, a shortage of fuel and food supplies. The artel workers, then, fell into despondency and apathy, then, encouraged by possible help from Dixon, they stopped saving products. It was not possible for Begichev to organize the right leisure, and idleness, boredom and low mobility in wintering are the main allies of the diseases. In February, scurvy appeared in the wintering place, and Begichev himself, who was the pillar of the team, suffered the most from her. Among other things, apparently, his moral state also had an effect. For an ambitious Begichev who was accustomed to success and victories, it was unbearable that his venture had failed. He was getting weaker every day and in April he almost stopped getting out of bed. 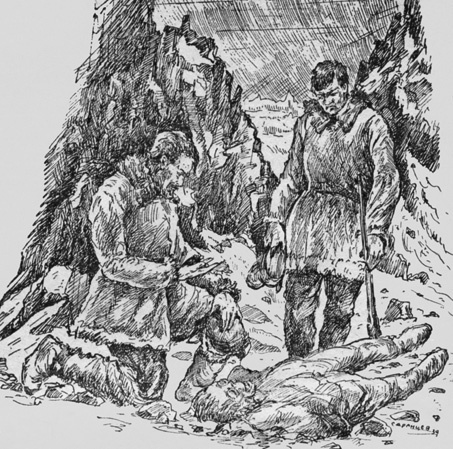 In early May, one of the wintering men was sent to Dickson, but when he returned with food, Begichev had already died. Just before his death, he managed to kill the first deer, but the patient already refused to eat. He died May 18 and was buried near the winter hut. On the grave, they put a cross with the inscription: “The ashes of the famous traveler of the North and the initiator of the fishing group Begichev Nikifor Alekseevich, who died on May 18, 1927, 53, 5 months old, are buried under this cross.Eternal memory to dear dust”. In 1964, in the mainland village Dikson, Begichev erected a monument. On the dais of stones, a pedestal with a figure of concrete. The inscription on the pedestal: “Nikitfor Alekseevich Begichev, 1874–1927, famous researcher of Taimyr”. The island (Big Begichev) is more seaward than the Khatanga Bay. Known Russian since the beginning of the XVII century, as evidenced by historical documents, but in the XVIII century, forgot about it. In 1908, Begichev re-opened and called the island Sizoy. The present name was given in 1908 by the IGRO at the suggestion of Academician F.N. Chernyshev. Island (Small Begichev) near the western coast of the island Big Begichev. H.P. Laptev in 1739, who called him "St. Nicholas Island". Repeatedly opened by Begichev. Named by association with the island of Bolshaya Begichev in 1933, a hydrographic expedition on the pioneer schooner. The island (Begichevskaya Spit) in the delta of the Pyasina River on the Taimyr River opposite the winter hut Begichev. Named by hydrographs in 1932. Small river near winter hut. Lake north of Maria Pronchishcheva Bay on Taimyr. The name was given in 1951 by the North-Taimyr expedition.